Having taken this award home last year for “Radio Nowhere“, Bruce Springsteen and the East Street Band are no strangers to the Grammys and although they aren’t heavy favorites, I would never count them out. Kings of Leon. A band comprised of four brothers from Nashville Tennessee, have blown up in the past year. Starting with “Taper Jean Girl” being featured on the “Disturbia” soundtrack to reaching number 4 on the charts with “Use Somebody.” I would not be surprised at all if the Grammy went to them. Having renowned success around the globe and being played non stop on the radio, “Use Somebody” is just one of those songs that grows on you, and after a while you just cant help but love it. Along with catchy lyrics and very skilled musicianship, I think they have a solid shot at taking this one home. Ah Green Day… My least favorite of the nominees… After listening to “21st Century Breakdown,” I came to the conclusion that it is in essence the same album as “American Idiot” with a different theme. The writing is what really lacks. I personally didn’t hear anything new from Green Day. It was just like they picked up right where they left off with “American Idiot.” I would have just preferred something new and fresh. So being that “21 Guns” is the main single of the album aside from “Know Your Enemy,” and seeing how it peaked at #22 on the charts, I think it has the least chance of winning, alongside the fact that it’s just not a good song. 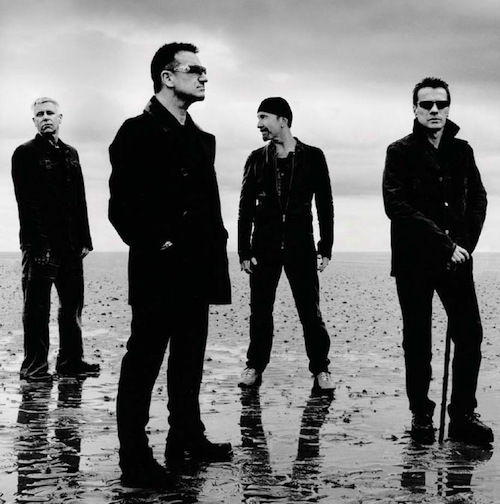 Out of all these bands, I can honestly say that U2 is my favorite. I was brought up on U2, and as eccentric as Bono can be at times (I’m wondering why he hasn’t just bought Haiti) and as dull as The Edges stage performance is, they are truly magnificent (no pun intended) musicians and have been for about 34 years. Being one of the few bands in the history of bands to be together for that long and have never broken up, it speaks volumes, and it shows in their work. They have truly mastered their craft. The entire album, “No Line On The Horizon,” is a work of art, but the song, “I’ll Go Crazy If I Don’t Go Crazy Tonight” is a perfect representation of what rock was, is, and can be, stretching the possibilities of what great music is. If you haven’t realized by now this is my pick, and I think the song deserves it. Finally, another one of my favorite bands, Pearl Jam came back hard this year with a massive tour which included closing out the historic Spectrum in Philly. Their latest album, “Backspacer,” is one of my favorite albums of last year, featuring a lot of great songs, including the nominated “The Fixer” which has a catchy riff and features Eddie Vedder’s iconic voice. This song is unfortunately matched against some other great songs, and also hasn’t gotten the radio play it deserves. If I had to pick I would say that along with “Use Somebody” by Kings of Leon, this song will fall short and tie for second, and unfortunately that means nothing at the Grammys. So there you have it, my analysis and breakdown of the Best Rock Song category. Let’s hope my predictions are right and obviously best of luck to all the nominees, except Green Day because they really don’t deserve to be in this category because they really didn’t bring anything new to the table. I would like to point out, that although you criticize Green Day, they have won an award that only U2 has won. A much more important award, considered to by the Grammy’s highest honor. Record of the Year recognizes the best song from a performance and production standpoint. Green Day won the award for “Boulevard of Broken Dreams,” and U2 won the award twice for “Walk On” and “Beautiful Day.” Pearl Jam and Bruce have never won the award. Green Day is a more mainstream band and therefore, tend to compete at the higher levels of this competition. On a side note, the Red Hot Chili Peppers and White Stripes have never won Record of the Year either. You backed yourself into a corner with this article, showing that although Green Day might loose this category, they are the second best band on this list! !